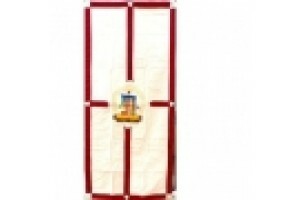 Door Curtains are used both on the inside and front doorways of Nepalese and Tibetan homes. 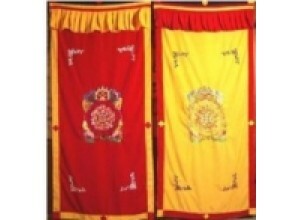 We have a great selection of door curtains - designs with Auspicious Symbols, including Windhorse, Garuda, and Kalachakra. 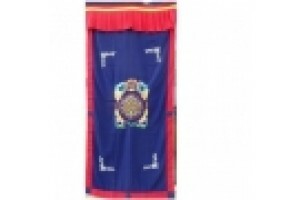 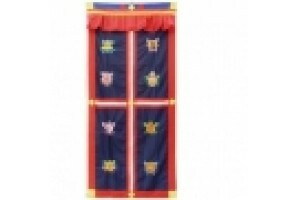 Dark Blue Door Curtain with embroidered Auspicious..
Tibetan Zodiac (with wrathful diety) embroidery on.. 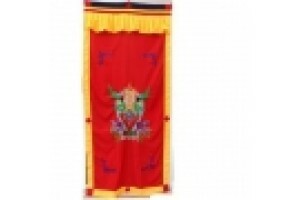 Striking embroidered kalachakra door curtain on he..
Red Garuda Door Curtain, embriodery on spun silk 9.. 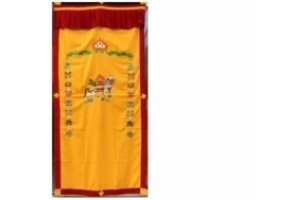 Bright yellow Windhorse Door Curtain with auspicio.. 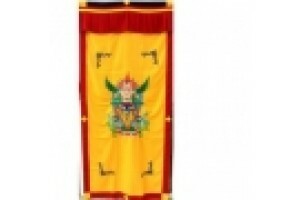 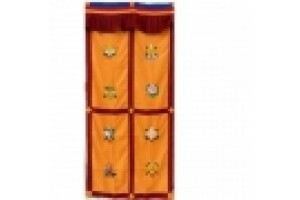 Bright yellow Door Curtain with maroon border and ..
Yellow Embroidered Garuda Door Curtain on syntheti..